The Spanish empire in Latin America gradually collapsed between 1810 and 1820. The collapse was followed by an internal crisis in Spain. Then, in 1820 Spain itself would collapse, and King Ferdinand VII was forced to sign a new liberal constitution. Two years later, France and the other members of the Holy Alliance (Austria, Prussia, and Russia) agreed to restore King Ferdinand to his full authority. Against the wishes of Great Britain they invaded Spain, crushing the opposition forces, and reinstating Ferdinand. Soon afterward, rumors began to spread that France also wanted to help Ferdinand regain his lost colonies in Latin America. 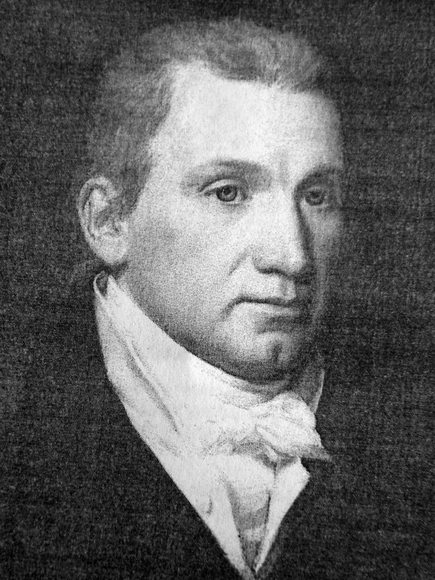 In 1817, James Monroe replaced James Madison as President of the United States. Monroe would be the last of what has been called the Virginia Dynasty, a 24 year dynasty that included Jefferson and Madison. One of the first things President Monroe did was appoint John Quincy Adams as his secretary of state. The two of them quickly made it known that they were more concerned about foreign matters than domestic ones. They quickly proved it by acquiring Spanish Florida by treaty. Great Britain’s foreign secretary was named George Canning. Canning proposed to Adams that both countries sign an Anglo-American declaration recognizing the separation of Spain and its former colonies and opposing international intervention. Both former presidents Thomas Jefferson and George Washington were in favor of the declaration. However, John Quincy Adams was opposed to it because he didn't think that the French were interested in again sending troops across the Atlantic Ocean. Instead he persuaded President Monroe not to undertake it jointly. Adams told President Monroe to use his annual address as an opportunity to tell Congress of his plans. Adams believed that it was time for America to stand up and declare our position as an independent nation. He insisted that the United States stand up declare the principles on which it was founded. Adams wrote at that time, “The American continents are henceforth not to be considered as subjects for future colonization by any European powers.” It was his concept of non-intervention and non-colonization in the New World, by any other country, that became the foundation of what would be called the Monroe Doctrine. At the time, John Adams was also writing about the Russians who claimed to be in control of the northwest from Alaska to San Francisco. President Monroe presented the Monroe Doctrine to Congress at his annual address just like John Quincy Adams suggested. Most of his speech was written by Adams. In addition to the American continent now being off limits for colonization, he stated that the United States had no desire to enter into wars of European powers, and that any attempt by European powers to extend their system to any portion of this hemisphere would be considered dangerous to our peace and safety. He also stated that in regards to existing colonies or dependencies of any European power, we have and will not interfere. The Monroe Doctrine declared that the United States was responsible for the well being of the entire Western Hemisphere. The Monroe Doctrine would be used over and over by American leaders. President Polk used it in 1845, when he chose to establish a sphere of influence for the United States in Latin America. President Theodore Roosevelt used a corollary of the doctrine to justify intervention in Haiti, Nicaragua, and the Dominican Republic.